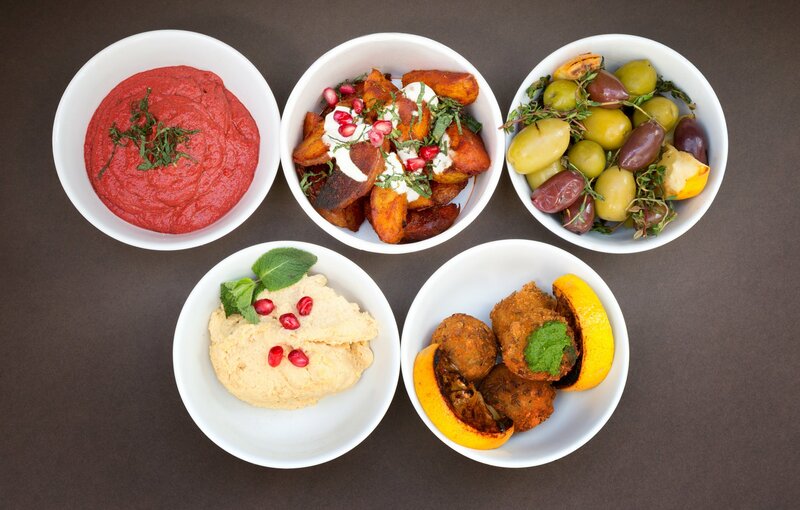 To celebrate International Hummus Day (May 13th 2018), we’ve put together a list of our marvellous Middle Eastern caterers. 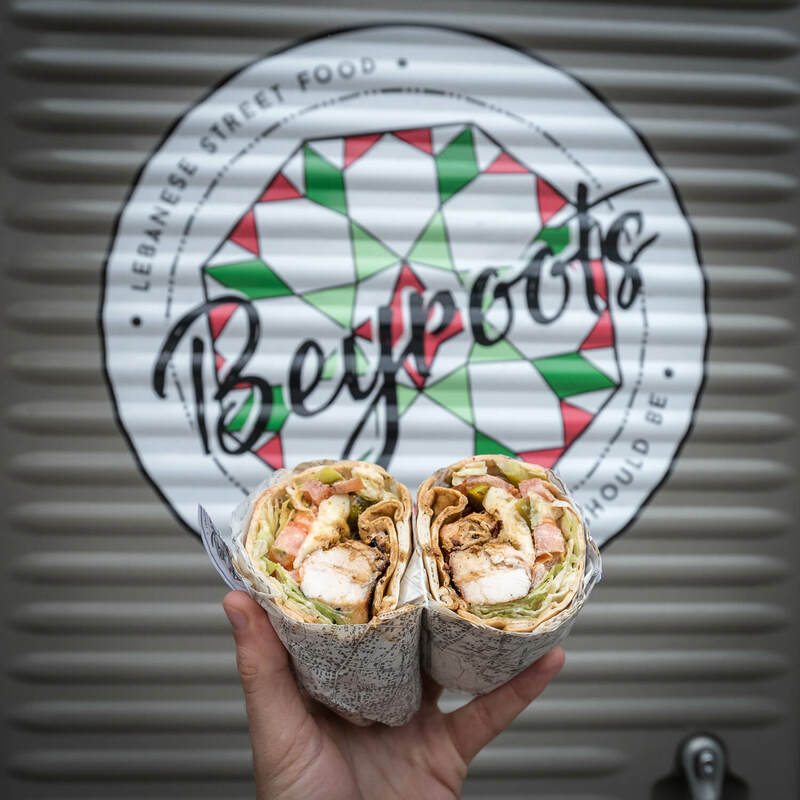 From traditional Egyptian falafel and Iraqi lamb croquetes, to contemporary kebabs with hilarious names, these 12 are the country’s best when it comes to Middle Eastern street food. All hail the chickpea! Did you know that The Wandering Yak won the 2016 Cambridge Food and Drink Awards Street Food of the Year? We love the ‘Middle Eastern Pita’... a handcrafted pita filled with smoked aubergine and tahini sauce, a herb and chilli pesto, roasted aubergine, Middle Eastern salad, mint, pomegranate and your choice of Egyptian falafel, harissa mushrooms or grilled halloumi. 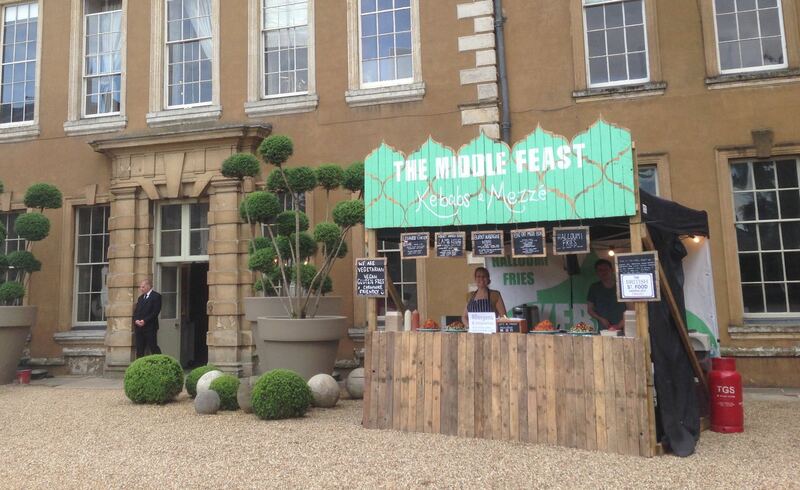 Did you know that The Middle Feast are 100% plastic free, exclusively using biodegradable packaging and only serving seasonal local produce and the highest welfare meat? 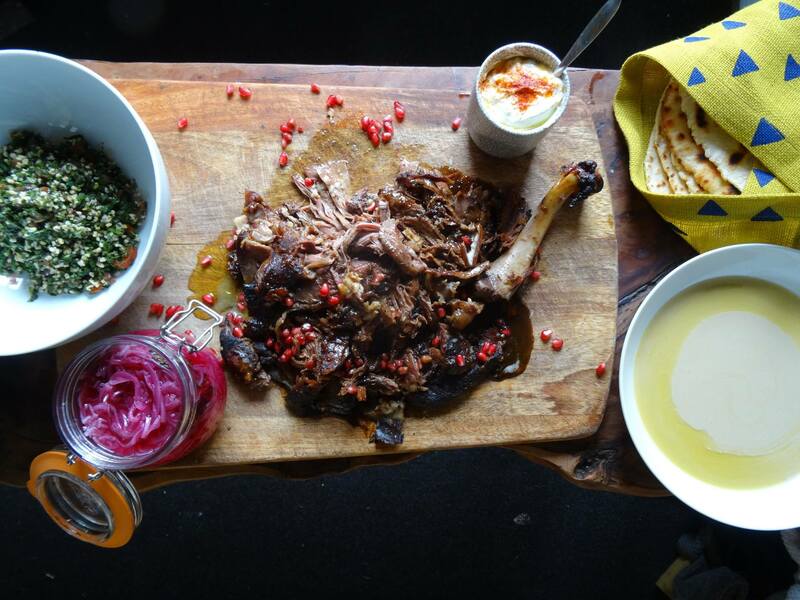 We love the ‘Aleppo Lamb Kebab’... succulent lamb shoulder, smoked coriander, aleppo pepper, wild thyme, hot harissa, smoked yoghurt and hazelnut Dukkah served on a freshly baked fluffy flatbread. Did you know that Suujook bring the flavour and atmosphere from the street of Anatolia, specialising in the Turkish bagel, also known as Simit? 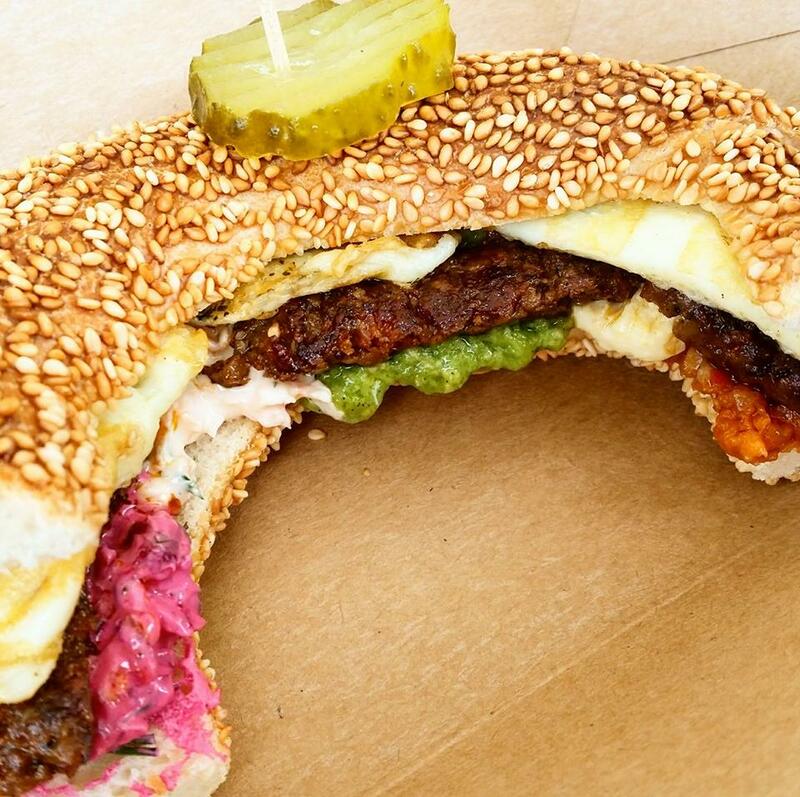 We love the ‘Turkish Bagel’... sesame seeded simit bread freshly baked every day, served with Anatolian spiced beef sausage and grilled halloumi. 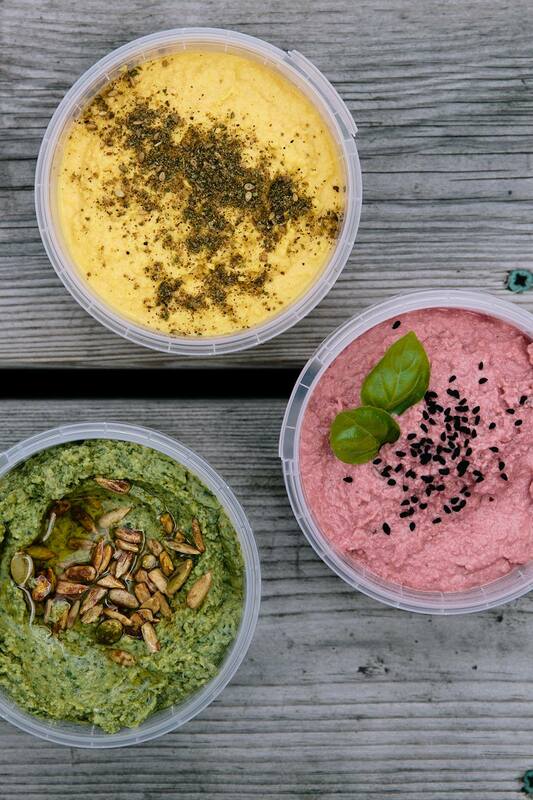 Did you know that ChicP make all their delicious hummus from surplus fruit and veg? We love the ‘Salad and Hummus Platter’... a colourful and vibrant platter packed with fresh and nutritious ingredients, served with 3 types of ChicP hummus, green salad, protein salad and a mixed Ottolenghi salad. 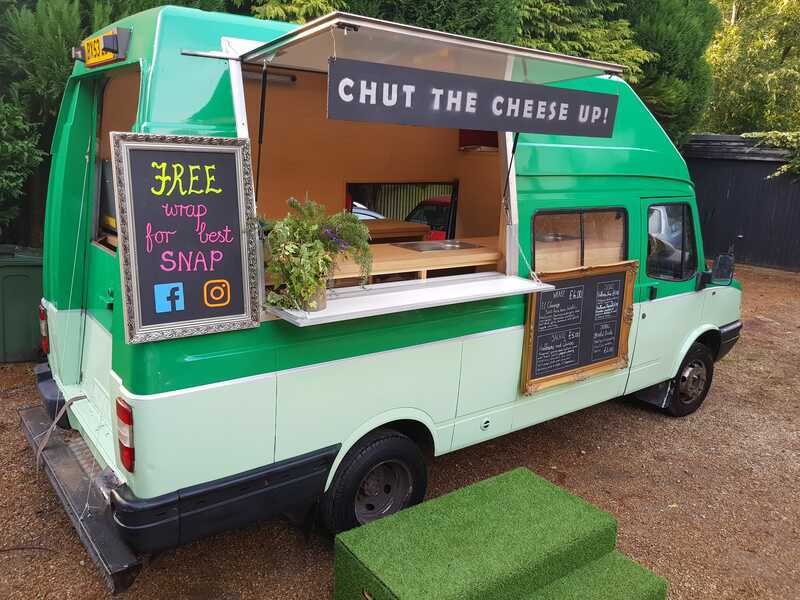 Did you know that all of the food by Chut the Cheese Up! is veggie or vegan and they serve it from a converted roayl mail van? We love the ‘Halloumi Wrap’... a traditional Khobez flatbread with grilled halloumi, homemade roasted garlic hummus, harissa courgettes and aubergines, fried red onion, crunchy salad and a homemade chilli and tomato chutney. Did you know that Tariq, the owner and chef at BEYRoots, has played for the Lebanese National Rugby Team for the last 4 years? We love the ‘Falafel Wrap’... authentic and expertly homemade falafel with pickles, tomatoes and Tarati sauce or hummus in a fresh wrap, just the way it's done in Lebanon. 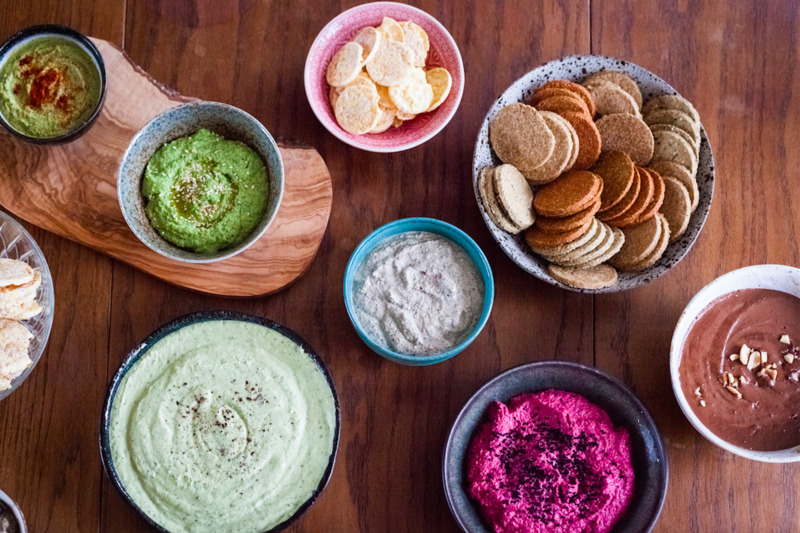 In 2016, America spent $725 million on hummus! 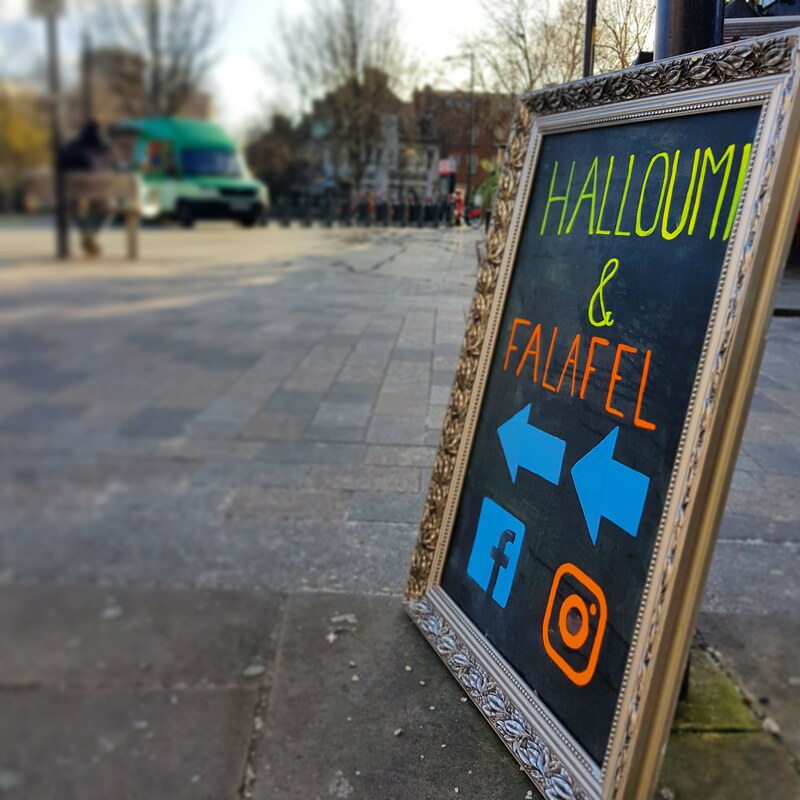 Did you know that Hummus Bros have a number of sites around London so you don't have to wait until your event to try their fantastic food? We love the ‘Beef & Aubergine Hummus Bowl’... seasonal, slow cooked stew with tender pieces of beef and aubergine, roasted on an open fire and surrounded by hummus dressed with tahini and olive oil, served with pita bread. 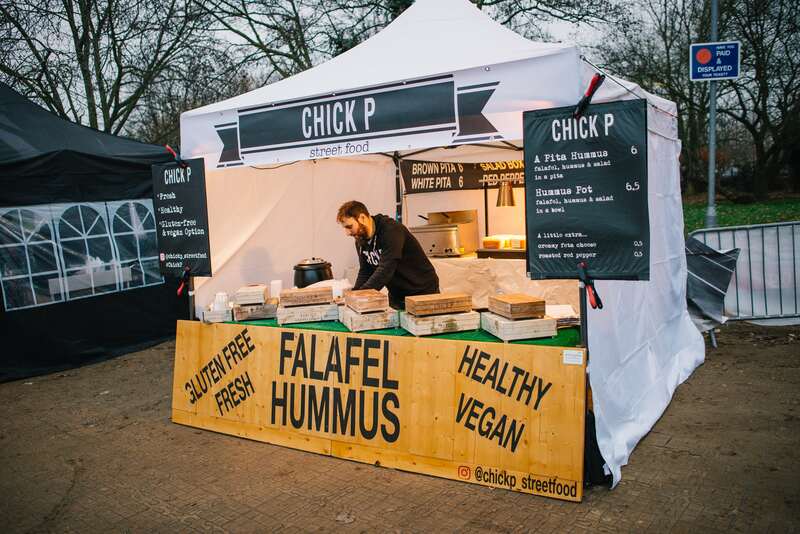 Did you know that What The Pitta are famous in the vegan scene for their plant-based kebabs and make their bread fresh right before you eyes? 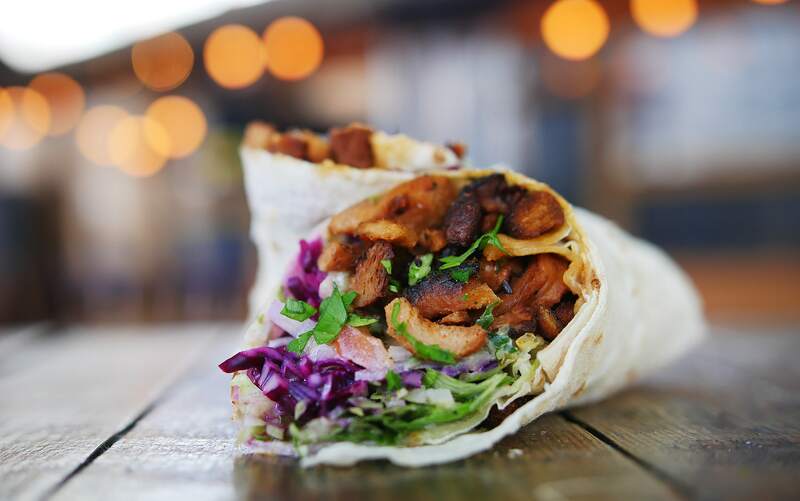 We love the ‘Vegan Döner’... spiced soya chunks, fresh crunchy salad, tzatziki made with soya yoghurt, homemade hummus and chilli sauce, all wrapped up in freshly made bread. Did you know that ChickP combine recipes passed down through generations of Middle Eastern families with locally sourced ingredients from Briish farms? 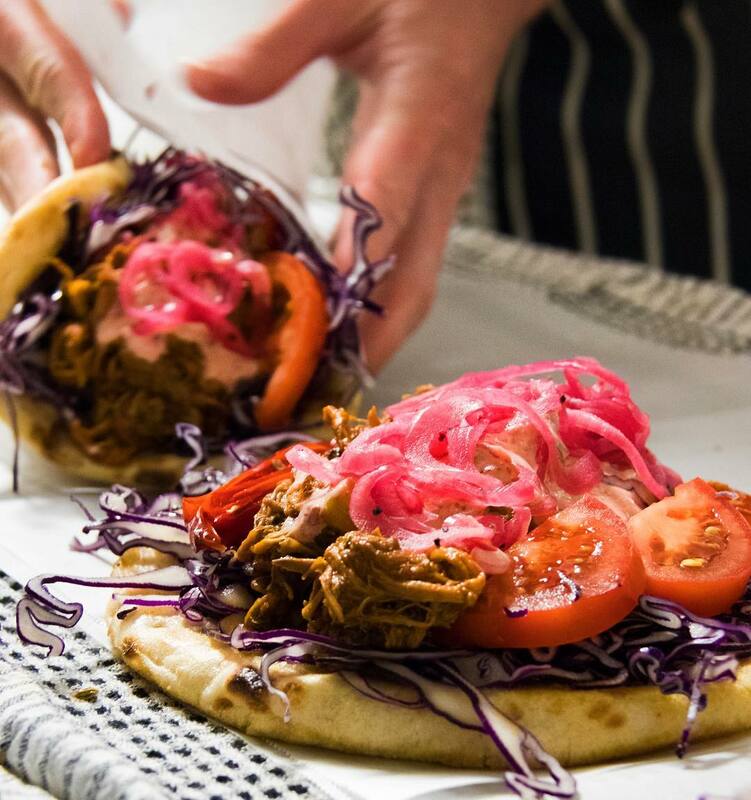 We love the ‘Pitta Hummus’… a fluffy pita absolutely stuffed with homemade falafel and hummus, tomato, cucumber, pickled white and red cabbage and chillies, finished with a fresh tahini and harissa sauce. 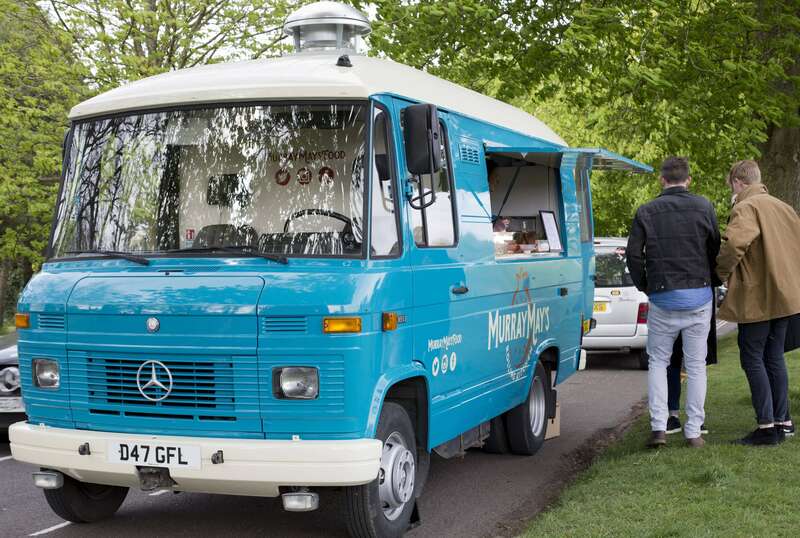 Did you know that Murray May's serve their food from a converted 1987 Mercedes ex-ambulance and they're the only food truck in the UK to have a Turkish mangal charcoal grill inside? 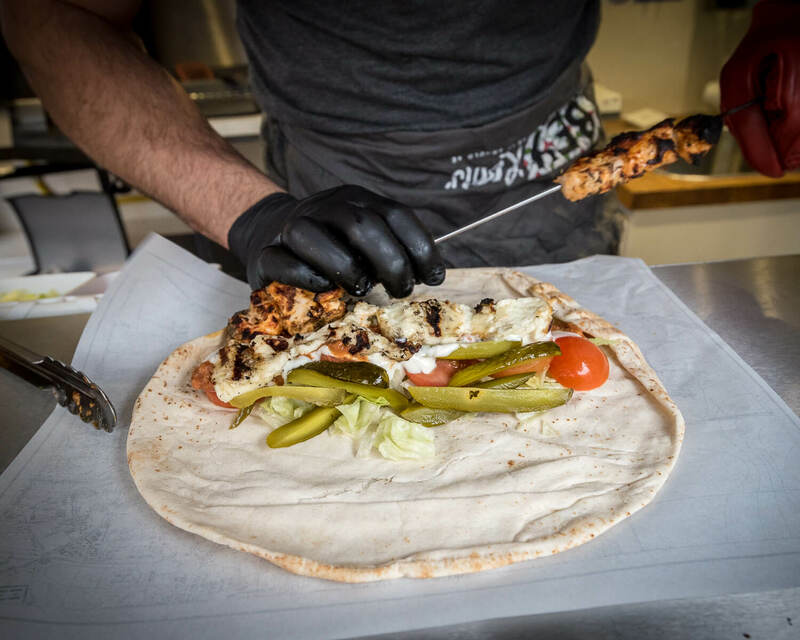 We love the ‘Harissa Yoghurt Marinated Chicken Shish’... free-range chicken with pink pickled onions, garlic yoghurt and butternut squash hummus, served with Zaatar flatbread, pomegranate seeds, Dukkah, pickled slaw and preserved lemon. Did you know that BABEK Brothers also serve incredible cocktails, like their 'G and Tea' made with smoked apple tea, lavender, lemon, soda and gin? 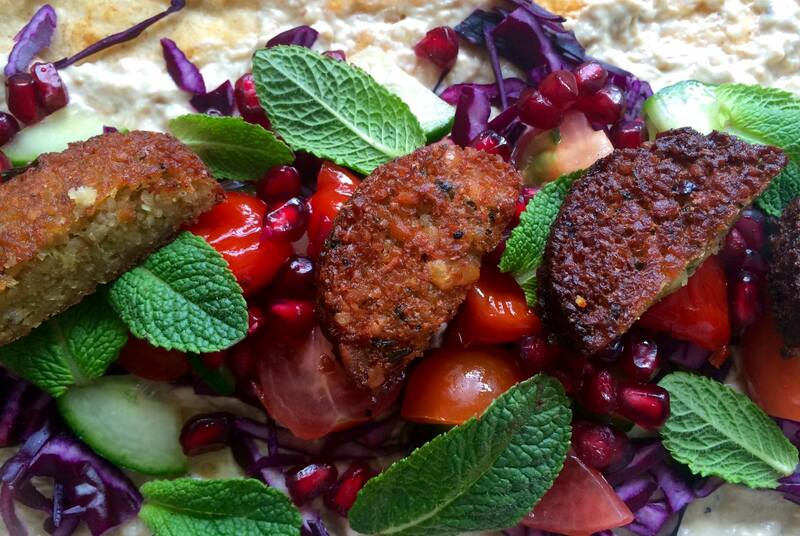 We love the ‘Kim Koftashian’... a big and bold kebab with lamb kofta, BABEK smoky relish, garlic yoghurt, charred pepper, pickled onions, cabbage and tomato. Did you know that JUMA cook everything over charcoal right in front of you and offer a 5 course tasting menu? 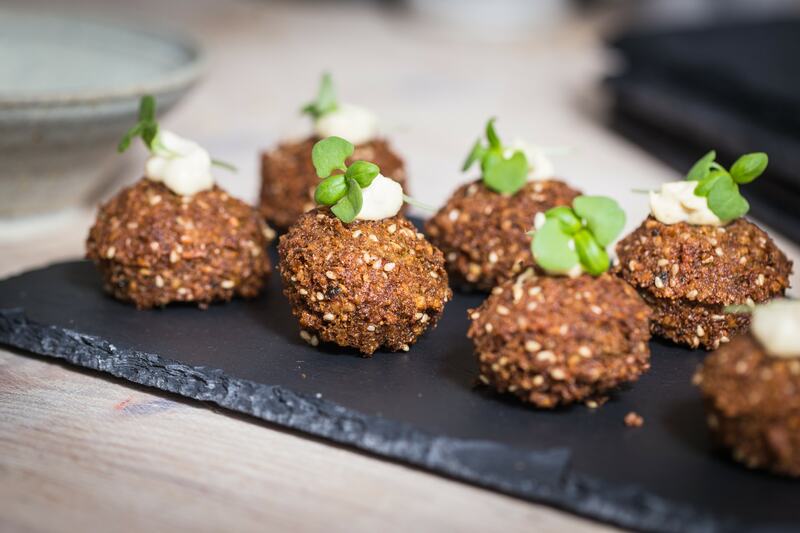 We love the ‘Kubba Haleb’... deep fried croquettes stuffed with lamb mince and rice served with a mango pickle. 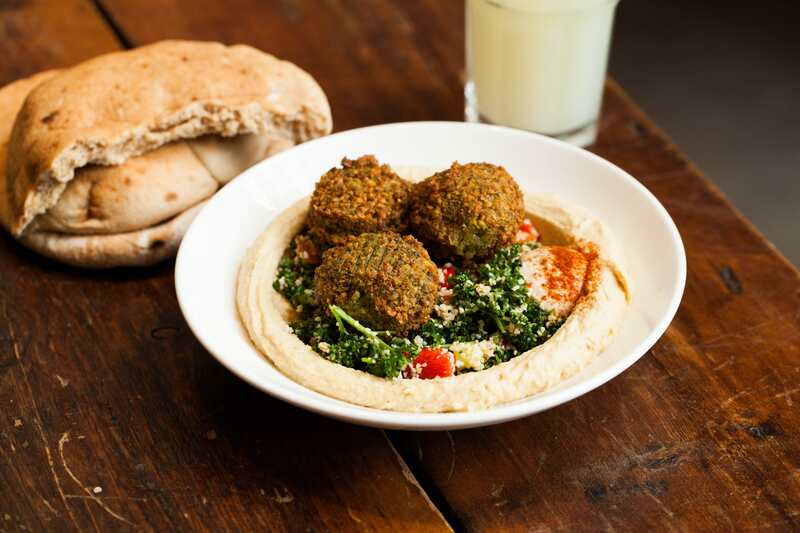 Britain is the hummus capital of Europe, consuming over 12,000 tonnes of it every single year. Well done us. These are just 12 of the awesome caterers that you can book on Feast It for weddings, parties and corporate events. 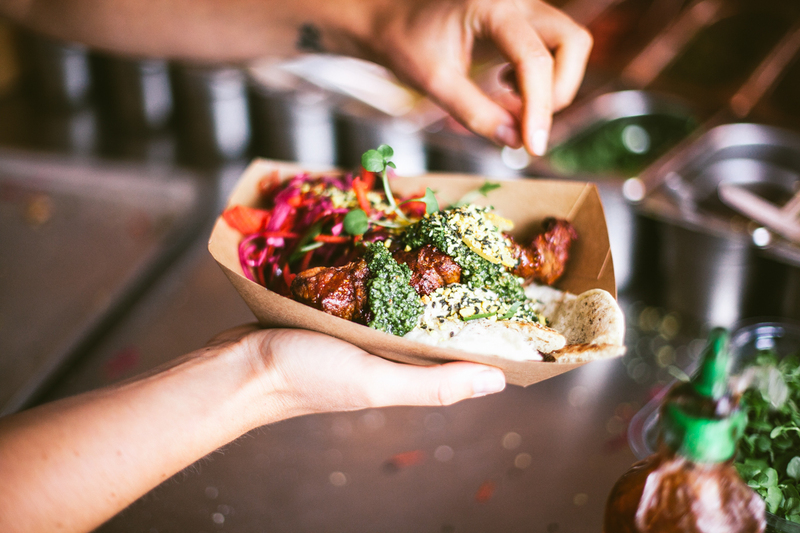 We have a handpicked collection of over 350 street food traders and pop-up bars for you to browse through. You can also book your floristry, staffing and event photography with us, so to get started fill out our simple enquiry form to get a quote!